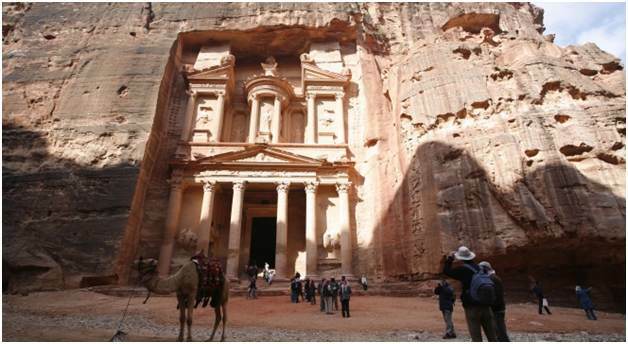 Jordanian history stretches back over the entire millennia, offering a rich and rewarding experience for any explorer. 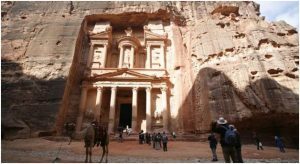 Whether it is seeing the ancient city of Petra or witnessing the miracles of the black sea – this is a country with a story tell. 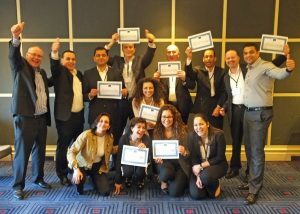 So at the invite of Silver Tongue Communication the Public Speaking Academy traveled out to Amman to embrace the challenge of working with some of the most profound corporate leaders in the modern day capital, Amman. The challenge was to unlock the speaking potential in some of the city’s most prominent people from Social Activists to The Royal Protocol team, from Pharmaceutical Giants to Radio Presenters –a wonderfully diverse but immensely talented group. The Public Speaking Academy’s Billal Jamil and Lee Furnace teamed up with Lana Tabba’a from Silver Tongue and held 4 Intensive Public Speaking Training days including one to one coaching sessions and motivational speaking tours for the International Academy Amman. Delegates are immersed in a unique process of coaching, learning, reflection, co-coaching, and of course countless speaking practice which creates a bias for success. Billal Jamil noted ‘The level of energy and motivation in the sessions creates momentum and a team approach to success. Regardless of your starting level you make the shift so long as you part take – everyone did! – its why we do what we do’. This was the first visit by the Academy to Jordan but it is clear that our public speaking graduates wanted more. And, working with such great people, we want to continue to expand in the region. Silver Tongue and Public Speaking Academy join forces again in Late May and Early June where we will be delivering the advanced 3 day programme to existing and new delegates – if you thought the last intensive was good this will blow the mind. We are adding in lots of advance techniques from special warm up exercises through to in speech mind changing anchors. Stuff that literally shifts your gears during your presentations! Plus a few debates and guest speaker for good measure and a competition for those wanting to test their new found potential. Our system to Public Speaking success is genuinely unique – we make it fun and add in the inspirational environment that is very difficult to imitate – hence it is the Academy’s Directors who will lead these high end courses. An opportunity not to be missed if you are in any way a potential speaker or leader, who wants to take your communication to the next level. I would like to ask if you will arrange another courses in Jordan ?